The I Series A100 is the basic platform of the Teledex I series. 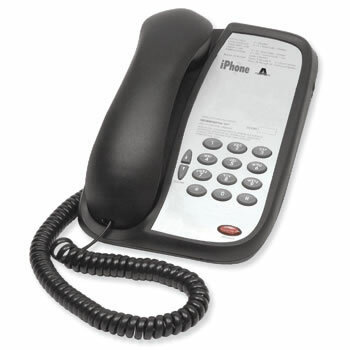 Single-line non-speakerphone with no (0) programmable guest service keys. Perfect for lobby areas, or for budget-minded hotels that do not need guest service keys or a speakerphone.